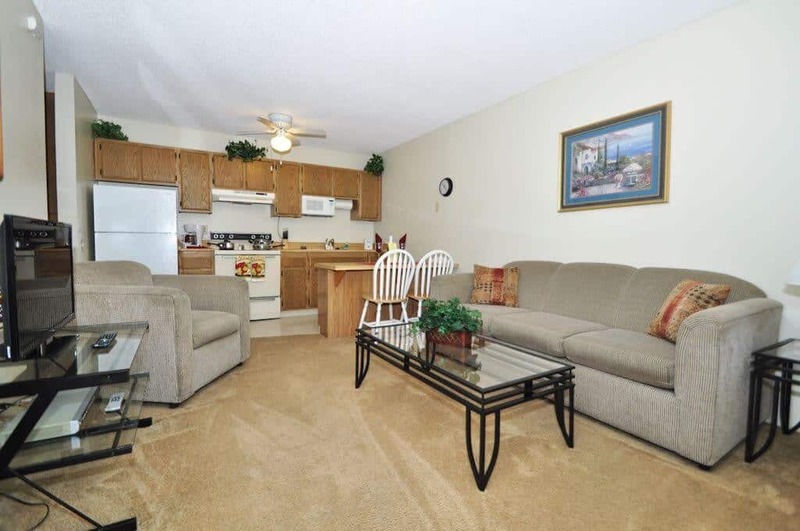 Foxwood Apartments have 130 fully furnished apartments available for short term rental in San Diego. Our short term rentals come with all utilities paid and you have a choice of one or two bedrooms set in a quiet, unique, country club resort-style setting with loads of on-site parking. The apartment complex is located on a lush greenbelt park and you are surrounded by big shady trees. 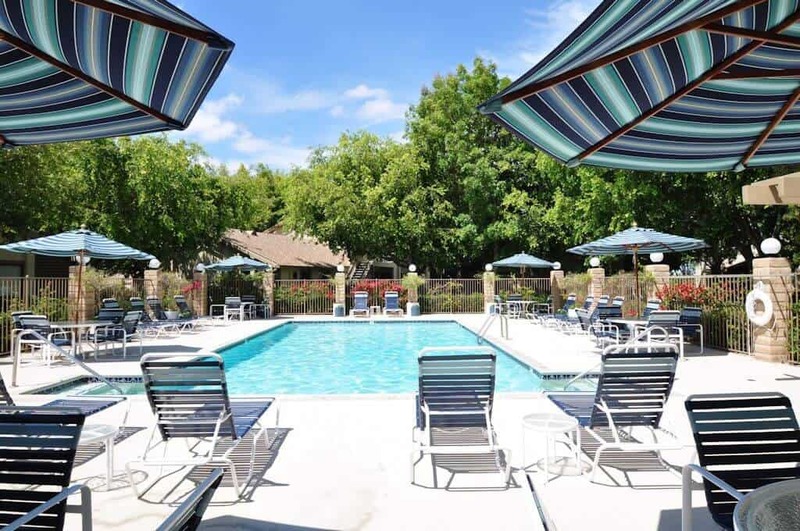 You will thoroughly enjoy the year-round heated pool/spa which will be just steps away from your front door no matter where on the grounds your apartment is! All the furniture is top quality and designed to make your stay an extremely comfortable one. As well as being beautifully furnished, our apartments are also professionally decorated. In fact we are sure that you will agree that this is a perfect retreat for your San Diego-located stay whether that is for long-term or short-term housing needs. We are conveniently located one block off I-805 and 8 blocks from I-5. The Palm Promenade Shopping Center includes Kaiser Clinic, Shops, Vons supermarket, Wal-Mart, restaurants and modern 24-plex AMC Movie Theater are less than 2 blocks away. The Palm Ridge Neighborhood Shopping Center is just next door. Bus stops and 5-acre park are conveniently located across the street. Also we are less than 15 minutes from the 32nd Street Naval Base; 20 minutes from the Coronado Naval Base and downtown San Diego, Mission Valley, golf course and beaches; 5 minutes from the San Ysidro border and 10 minutes from the Otay Mesa Border. All in all you would find it extremely difficult to find another short term rental apartment within the San Diego area which is as conveniently located or enjoys such an array of amenities. When you have some free time off of work be sure to pay a visit to downtown San Diego to enjoy the many things to see and do there. Some of the World’s finest beaches are also within a short 15 minute drive and you don’t want to miss them!